Happy Friday everyone, and TGIF! I thought doing a fun little Instagram recap of the past six months would be a great way to relax today. I liked writing my 2014 via Instagram post so much, that I thought I'd write a little sub- 2015 via Instagram, since we are only half way through. I'll explain some of these to you, but some are obviously in here just because they're pretty. Sue me. In February I cut 6+ inches off my hair. I absolutely LOVED it, but of course had a moment of panic, because I then realized that I wouldn't be able to wear the way I want for the wedding. I've been aggressively growing it since. This year I've been using a Day Designer as my planner, and I love it. I use it mostly at work, and it is exactly what I need there. I explained here about how I use it. We got our engagement photos taken in May, and I am thrilled with our photographer. I can't wait to have her take the photos for our wedding! You can see some more of our photos here. We are enjoying this season of being engaged so much. I am so glad that we decided to have a two year engagement. I love calling Dave my fiance, and I love the closeness that we share. We have eaten so much fresh produce this season! Our favorite Community Farmer's Market has been chock full of delicious fruits and veggies, and they do not last long in this house. If you don't follow me on Instagram (@alexandrastacey), you totally should be! 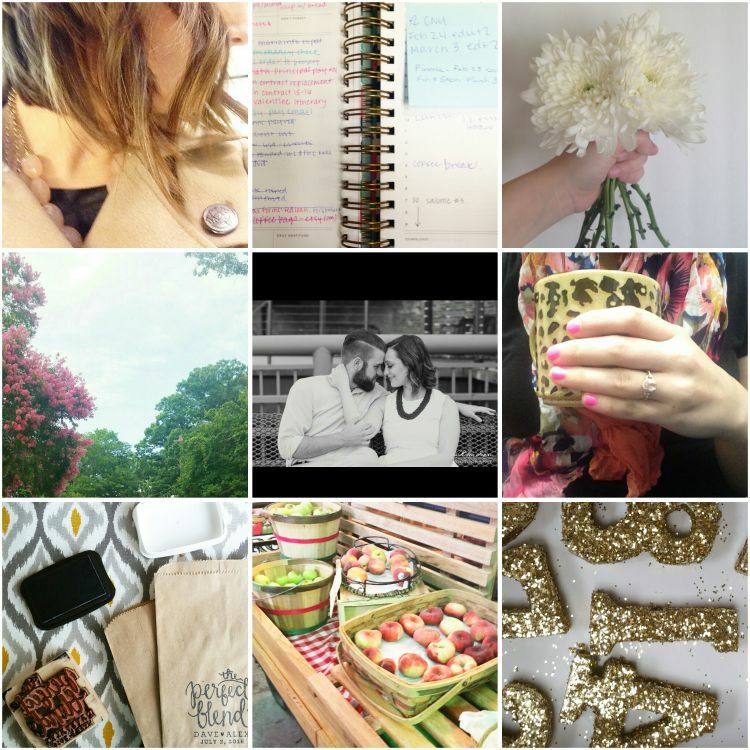 Keep up with the fun things I've got going on, pretty things, and probably a coffee photo or two!